Backpacking is an exciting way to escape from the urban jungle and enjoy the world God created. If you’ve never done it before, or are hesitant to go, here’s a piece that may sway you to do so! If you’ve been at Regent more than five minutes, you’ve probably met someone who has gone backpacking in the mountains recently. You might wonder what in the heck the big deal is and why in the world would people go? 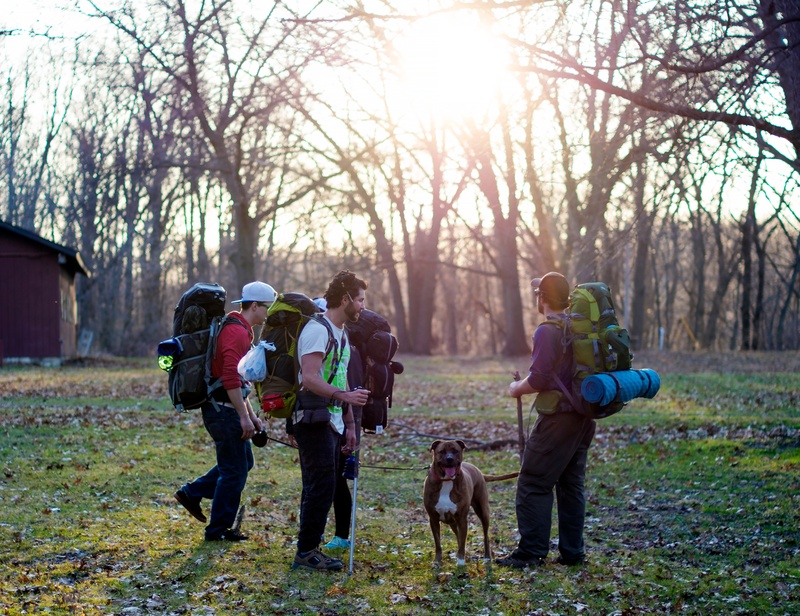 Well, here are at least ten good reasons why you should go backpacking. Ever wanted to jump over a ravine? Go in a cave? Climb a cascading waterfall? You can’t do that at the beach. Live a little and go do something crazy. From a bunny, to a deer, to an unreasonably large bug, you’re bound to see something interesting. Maybe even Sasquatch; let’s be honest, you miss having a dog at school. You’re very likely to see at least on dog while on a trail. For you own sake, please go. You know that you’re looking for an excuse to use that Eno you bought last year. Bring it with you on the trail. Let the crickets sing you to sleep as you rock back and forth. Have you ever gotten bored while looking at the stars? Maybe someone somewhere has, but when there’s no streetlight for miles around, it’s hard to take your eyes off of them. Sometimes the best memories from any sort of trip come from the ride there. Get a good playlist, crank the tunes, and laugh it up with pals. Plus, every road trip needs a good gas station story. Do you love a good view? Sunrises and sunsets? No one paints more beautiful pictures than God himself, and you can see much of His work for free. Can you even call it backpacking if your clothes aren’t saturated with the fragrance of smoke? No. A backpacking trip isn’t complete without sitting in a circle around a campfire, wishing you could make one in your room back at school. Ever slept without any streetlights, roads, or noisy people around while listening to a cool breeze blow through the leaves above you? It’s liberating, and you won’t find an experience quite like it in your apartment. Let’s be real. Everyone who goes backpacking has a low-key goal of getting a new Facebook profile picture, plus some cool Snapchat story pics, and Instagram maybe some posts. Where else are you going to take a picture of you dangling off of a cliff? There’s a saying that ‘a trip you take is only as good as the people who go with you,’ and it’s true. Bring a good group of friends, whether through rain or shine, and you will undoubtedly leave your adventures with an unreasonably large smile. Samuel Morgan is a contributor to the Daily Runner. Fighting human trafficking: What can you do? February 27, 2017 Carey Judy Comments Off on Fighting human trafficking: What can you do?